We're sorry, but no Support Team members are available to chat at the moment. Please select the email option above to send us a message. We will reply to your message as soon as possible. Please provide a valid topic. Sign into your Hypnotic World account. At the top of the Members' Area page, click the Account Settings tab. On the Account Settings page, under Account Status, click the Account Cancellation button. Confirm your request to cancel your account. 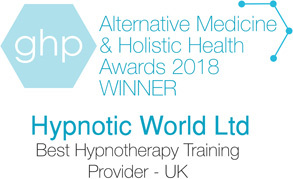 Once your account cancellation request has been processed, you will no longer be billed for your membership and will not be able to access the Hypnotic World member benefits. MP3 and script orders are sent by our automated email service, so you should receive them within a few minutes of ordering. At certain times our secure merchant services undergo maintenance to their site which can create a delay with processing orders, this is often rectified within a few minutes or hours. Check your Spam email folder in case our message containing the link to the script or MP3 that you ordered was sent there. You should receive an automated email from Hypnotic World within within a few minutes of ordering giving you an exclusive password and User ID to access the scripts on Hypnotic World. The 'Sign In' link is at the top right hand corner of the home page. This will take you to the Members Only section. 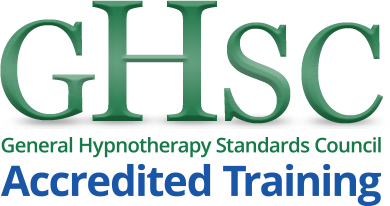 From there we recommend that you click on the Script Index link at the left of this page and select the scripts that you want to access from Hypnotic World. Each script has a Printer Friendly button. Should you need to increase or decrease the text then this can be copied and pasted into your preferred text editor (Notepad, Wordpad, etc) and re-sized. If you are unable to recover your login details using this automated system, contact us and you will receive notification of your password. We need you to supply the email address that you subscribed with and the payment method that you used. How will I receive my MP3 order? Upon ordering an MP3 from Hypnotic World, you will be taken to a order fulfilment page, where you can download each MP3 in your order. You will also receive an automated email containing a link to the order fulfilment page for your reference, should you need to re-download the MP3(s) at a later date. If you have lost the email address that you signed up using, please try using any previous email addresses that you may have used. If you signed up using your PayPal account, please note that your account may be under the email address of another email address associated with your PayPal account. These may include your old email addresses, and can be found by logging into PayPal. If you pay for your membership by Direct Debit via our payment provider, GoCardless, and need to change the source bank account that membership payments are made using, please contact the GoCardless support team directly on 020 7183 8674.